Location: Very nice location in the Avenue Louis Lepoutre - Place Brugmann district. A friendly neighborhood with public transport, close to urban life, and at the same time a very quiet location . Description: An atypical property. 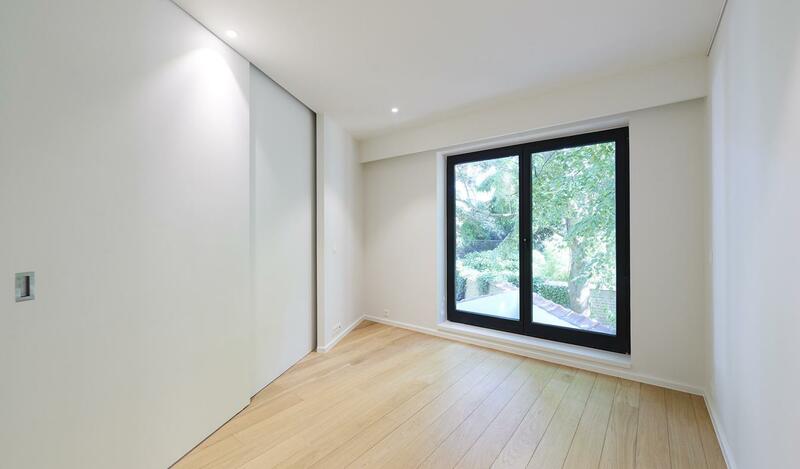 This house of +/- 150m2 is situated in the back of a Typical Brussels house. The house is renovated in a resolutely modern style, with very beautiful luxury finishes. It has a beautiful terrace, extended by a Zen garden, with waterfall. A property which is rare to find on the market. Entrance: Large entrance gives access to a first private room with storage and possibility to store bikes or motorcycle. 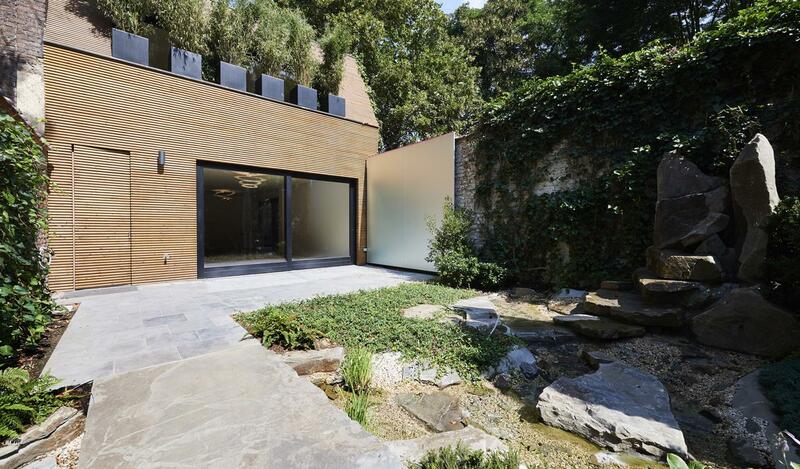 Access to the interior garden completely equipped with indirect lighting. Large reception room (loft atmosphere) with beautiful wooden floors and access to the terrace with large bay window. Superbly equipped kitchen with central island - oven, microwave, hobs, hood, dishwasher, fridge, freezer. Access to a shaded terrace. Cloakroom and laundry room equipped with appliances 'Miele'. First floor: Night hall. separate toilet. Master bedroom with many cupboards, access to a terrace. Ensuite bathroom with bath, double sink shower. Second big room, which can split in two with a sliding door. Shower room. Miscellaneous: Included in the price, the maintenance of the boiler as well as the maintenance of the garden and its surroundings. Everywhere are installed blackout blinds and curtains. All fixtures are installed everywhere and chandeliers Artemide in the living room.